This week, two defensive linemen signed landmark extensions with their franchises. Here’s how their contracts are structured. Everson Griffen‘s four-year, $58MM Vikings extension included $18.8MM fully guaranteed at signing, and that will pay out over the next two years, Andrew Krammer of the Minneapolis Star Tribune reports. Griffen’s 2017 cap number rises to $8.6MM, and in 2018, that figure comes in at $11.6MM. The 29-year-old defensive end’s cap figures from 2019-22 are as follows: $11.9MM in ’19, $13.9MM (’20), $14.4MM (’21) and $15.5MM (’22). Griffen received a $2MM signing bonus. Mike Florio of Pro Football Talk reports Griffen’s $3.9MM base salary for 2018 is guaranteed for injury at signing and becomes fully guaranteed on the third day of the next league year. His $10.9MM base in ’19 becomes fully guaranteed on Day 3 of the 2019 league year. After ’19, though, the guarantees are partial. $4.3MM of Griffen’s 2020 base ($12.9MM) is guaranteed for injury only at signing. Griffen has no guarantees attached to the 2021 or ’22 seasons, leading Florio to tab this a two-year deal with extra injury protection in the following two seasons. Jurrell Casey‘s four-year, $60.4MM Titans re-up contains $22MM fully guaranteed at signing, Florio reports. Over the next two years, the interior defender will make $25.2MM — $11.27MM of which will be new money, per Florio. Most of Casey’s 2017 wages come through bonuses; he will earn $1.4MM in base salary. In 2018 and ’19, Casey will earn $10.6MM base salaries. The 2018 base is over $4MM more than he was set to earn under the terms of the initial Titans extension he signed in 2014. That rises to $11.25MM in 2020 and climbs to $11.68MM in ’21. By 2022, which would be Casey’s age-31 season, the two-time Pro Bowler is set to earn $13.25MM. 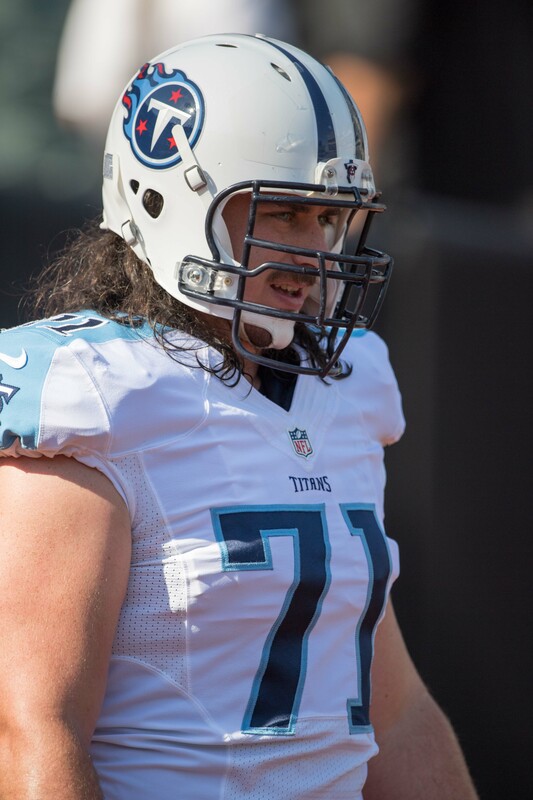 The Titans agreed to extend offensive lineman Dennis Kelly as well. It’s a two-year deal worth $3.05MM, with $400K guaranteed, per Field Yates of ESPN.com (on Twitter). The swing backup will earn base salaries of $775K (2017), $1.1MM (’18) and $1.35MM (’19), per Terry McCormick of TitansInsider (via Twitter). The Titans have agreed to a multiyear contract extension with offensive lineman Dennis Kelly, reports Jim Wyatt of TitansOnline.com. It’s a three-year deal that runs through 2019, tweets Cameron Wolfe of ESPN.com. The 27-year-old Kelly is entering his second season with the Titans, who acquired him in a trade with the Eagles for wide receiver Dorial Green-Beckham in August 2016. Kelly went on to log career highs in appearances (16) and starts (six) last season, when he lined up as an extra tight end and only played 145 snaps on offense. Despite his limited playing time, Kelly showed enough to the Titans for them to lock up the 304-pounder and keep him in the fold behind stalwart tackles Taylor Lewan and Jack Conklin. A fifth-round pick in 2012, Kelly spent the first four years of his career in Philadelphia, where he started in 15 of 30 appearances. A number of teams are interested in Zach Orr, with his agent relaying that about half of the league has contacted him regarding the linebacker. Some teams are standing pat, though. The Titans appear to be one of them. Tennessee is content with its linebacker situation, and according to Terry McCormick of TitansInsider.com (on Twitter), has not reached out to Orr. The Titans have Avery Williamson and Wesley Woodyard penciled in to start on the inside of their 3-4 scheme. That’s been the team’s arrangement inside for the past three seasons, since Woodyard migrated east from Denver, and it looks like the team will roll with this duo for a fourth campaign as Williamson enters his contract year. Orr’s Lions visit concluded Friday, and he subsequently made the trip to Indianapolis to meet with the Colts. The fourth-year linebacker’s Jets powwow will occur after the Colts summit ends. Here’s more regarding Orr and the latest out of the AFC South. Orr told SiriusXM (Twitter links) that he feels great, despite his condition. Orr explained that he’s dealing with a birth defect, but not something that is necessarily an injury. Orr also responded to talk of him cherry-picking medical opinions in an effort to get the diagnosis that he wanted. The 25-year-old says that he retired after seeing only one doctor, but the rest of doctors he spoke with say he’s not a greater risk. ESPN.com’s Field Yates recalls Jon Robinson enduring scrutiny for only getting reserve offensive lineman Dennis Kelly from the Eagles in last summer’s Dorial Green-Beckham trade (Twitter link). Now that Philly cut Green-Beckham after one season, the second-year Titans GM’s decision doesn’t look so short-sighted. A former fifth-round pick of the Andy Reid-era Eagles in 2012, Kelly played in 145 snaps last season and suited up for all 16 Titans games. DGB’s talent will make him one of the more interesting waiver cases in recent years, but he’s now seen two NFL teams give up on him after one season. This comes after he transferred to Oklahoma only to sit out his junior year in 2014. The last time Green-Beckham played for the same team in consecutive seasons was during his freshman and sophomore campaigns at Missouri. The Colts‘ early-season schedule and Chris Ballard‘s presence make Chuck Pagano a hot-seat candidate if the sixth-year Indianapolis leader doesn’t get the team off to a strong start, ESPN.com’s AFC South reporters posit. The Colts have started three straight seasons 0-2 but this year have the Rams, Browns, 49ers and Jaguars in their first seven games. Pagano not being Ballard’s handpicked coach figures to have him as a lame-duck candidate if the Colts are unable to return to the playoffs, however. The Texans want Will Fuller to concentrate on developing as a wide receiver instead of focusing on the return game, John McClain of the Houston Chronicle notes. The speedster out of Notre Dame averaged 15 yards per punt return (11 returns) and took back one punt for a touchdown as a rookie. McClain notes backup running back Tyler Ervin has a chance to be a double-duty specialty player. Fuller’s status and kick returner Akeem Hunt‘s uncertainty to make Ervin a candidate to serve as Houston’s kick- and punt-return man. 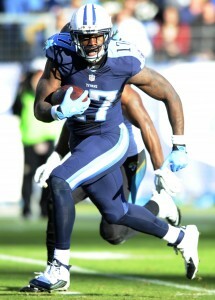 The Eagles have acquired wide receiver Dorial Green-Beckham in a trade with the Titans for offensive lineman Dennis Kelly, according to announcements from both clubs. In high school, Green-Beckham was considered to be one of the best wide receivers in the nation. However, off-field red flags pushed him into the second round of the 2015 draft, where the Titans snagged him with the 40th overall pick. That selection was made by the old regime in Tennessee and the new front office apparently wasn’t thrilled with what they’ve seen on him. DGB still has serious talent, but his work ethic in the NFL has been suspect.Green-Beckham hauled in 32 catches for 549 yards and four touchdowns as a rookie last season. The Eagles’ wide receiver group is headlined by Jordan Matthews and Nelson Agholor with support from free agent pickups Chris Givens and Reuben Randle plus Chip Kelly holdover Josh Huff. The arrival of DGB could drastically shake up the Eagles’ WR depth chart. Kelly, entering his fifth NFL season, has appeared in 30 games with 15 starts for the Eagles. The former fifth-round pick has appeared at both tackle and guard and should provide the Titans with some O-Line depth. 11:37am: Kelly’s deal includes $225K in fully guaranteed money, according to Adam Caplan of ESPN.com (Twitter links). Caplan writes that Kelly will have $150K of his 2016 base salary guaranteed, and will get a fully guaranteed $75K roster bonus in 2017. 10:51am: The Eagles’ offseason of extensions continues. After locking up several high-profile players earlier in the offseason, Philadelphia’s latest signing won’t turn many heads, but the team has extended the contract of offensive lineman Dennis Kelly by a year, according to Field Yates of ESPN.com (via Twitter). Kelly, whose deal had been set to expire at the end of the 2016 season, will now be under contract through 2017. According to Yates, the 26-year-old’s new one-year extension is worth $880K in new money. Zach Berman of the Philadelphia Inquirer adds (via Twitter) that Kelly will receive a $775K base salary in 2017, which will represent the minimum salary for a player with his NFL experience. 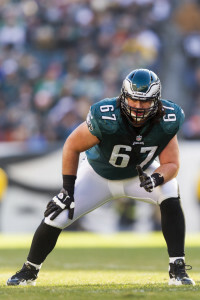 A fifth-round pick out of Purdue in 2012, Kelly started 10 games for the Eagles in his rookie season, spending time at right guard and right tackle. Since then, however, he has battled injuries and has played primarily as a reserve, starting just five of the 17 games he appeared in over the last two years. With the Eagles having fortified their offensive line in the offseason by signing veteran free agents Brandon Brooks and Stefen Wisniewski, Kelly figures to return to a backup role in 2016 and will likely only be pressed into action if one or two starters suffer injuries. Earlier this offseason, Philadelphia extended the contracts of quarterback Sam Bradford, tight ends Zach Ertz and Brent Celek, defensive end Vinny Curry, and offensive tackle Lane Johnson. The team also remains in discussions with defensive tackle Fletcher Cox about a lucrative new deal.